If there’s one thing I’m fastidious about when it comes to my beauty routine its skincare. From cleansing to moisturising I always make sure that I take the time to ensure my skin remains in top shape. Whilst overall skin maintenance is important there’s one part of my routine I admit I wasn’t so laser focused on and that was taking care of the area around my eyes. This is crazy when you consider that it’s often one of the first things people notice about your face. It’s for that reason that Elizabeth Arden’s Advanced Ceramide Capsules Daily Youth Restoring Eye Serum has become such a critical part of my skincare regime. Having already used the brand’s face serum from the Ceramide range and loved the results, I wasn’t surprised at the difference using the eye serum made to the overall condition of the delicate skin around my eyes. Just using a capsule each morning made my eyes look firmer and brighter and in turn helped me look healthier and more youthful. It’s an easy step to incorporate into my existing routine and one that I can definitely see myself continuing. Along with younger looking eyes, Advanced Ceramide Capsules Eye Serum have also become an essential when I’m applying makeup (thumbs up for any beauty product that can do double duty). I always like to focus on my eyes whenever I’m doing my makeup but most especially when I’m going to an evening event. I think the key to great eye makeup is all in the prep that you do in that area. I always apply a cream concealer to cover any discolouration around my eyes but I’ve found that by mixing it with an Advanced Ceramide capsule it not only enables the concealer to glide on more easily it instantly makes my eyes look more luminous. With a great base to work with I then apply eye shadow, eye liner and mascara and I’m pretty much ready to walk out the door. So easy and so simple. My morning starts with cleansing my face, applying Elizabeth Arden Advanced Ceramide Capsules Daily Youth Restoring Serum and then finishing with a hydrating moisturiser. I’m all about great skin and the most important step in my skincare regimen, is serum. The Advanced Ceramide Capsules conveniently comes in single-dose capsules which makes it easy to use. It’s highly potent and I’ve found my skin just drinks it up and my complexion has improved as a result. I’m all about great skin so this step is important. Now that Sophia is a little older she loves to watch as I go about my routine so we always spend the morning together as I get ready. My day is varied so I could be spending it at work one minute, shooting a What I Wore post for the blog or hanging out with the girls the next so my makeup has to be appropriate for several different scenarios. My makeup routine mostly consists of applying a good base then applying eye shadow, eye liner, mascara, then curling my lashes. I also apply a highlighter to my cheekbones to accentuate them. I’ve managed to get this down to as short a time as possible as I need to get out the door fast! Given I’m all about a quick beauty regimen I’ve managed to whittle down my top shelf beauty products to a few key beauty items – essentially what I can’t live without. What are they? Check out the video below to find out what gets my tick of approval and gets prime position in my beauty collection. At the end of the day I like to unwind and prep for bed by taking my makeup off then cleansing my skin. I’ll then apply the same Advanced Ceramide Capsules to help my skin restore and replenish overnight. After that it’s lights out in preparation to do it all again the next day! This post was created in collaboration with Elizabeth Arden. What’s the number one aspect of my beauty routine? It definitely has to be skincare. I follow my routine religiously. I believe amazing skin gives you a great foundation to start from and if your complexion is in top condition then your makeup will, by default, look good too. My skincare routine is pretty simple as I like to keep it quite streamlined and not have too many steps. All I do is cleanse my skin morning and night and make sure I remove my makeup at the end of each day. I moisturise twice a day too and ensure I apply an eye cream to hydrate my skin. I’m also quite particular about applying sunscreen; I do it every day, no matter the weather. Other than that I ensure I drink plenty of water to keep my skin hydrated. It’s quite a straightforward regimen but I find it definitely works and keeps my skin in top condition. What’s the one beauty thing you do without fail? Christmas is just around the corner so I’ve already started to compile a list of gift ideas for my friends and family. I’ve found the one kind of gift that is always a definite people pleaser are beauty gifts. I tend to buy my mum beauty products as presents and I have to admit I love receiving them too. Plus they’re the kind of present that is suitable for everyone from your closest girlfriend to your mother-in-law, so it solves the problem of having to wrack your brain trying to find the ideal gift. 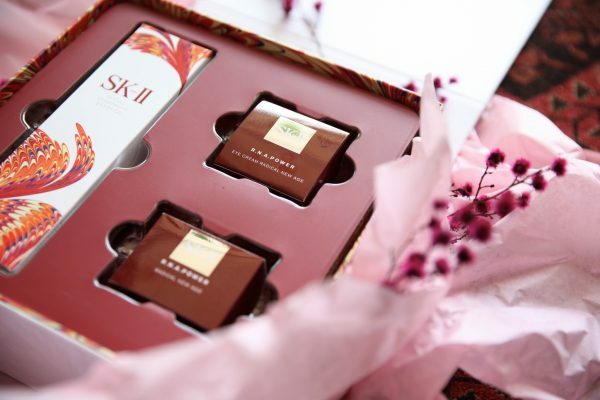 I know it can be tricky sometimes trying to pinpoint the right beauty product to give to a particular person which is why I particularly love the special Christmas gift sets that are released at this time of year. I always tend to gravitate towards them as they’re always beautifully packaged, contain a perfectly curated edit of products and they last long after Christmas is over, so the person receiving it will be able to enjoy it for quite awhile. 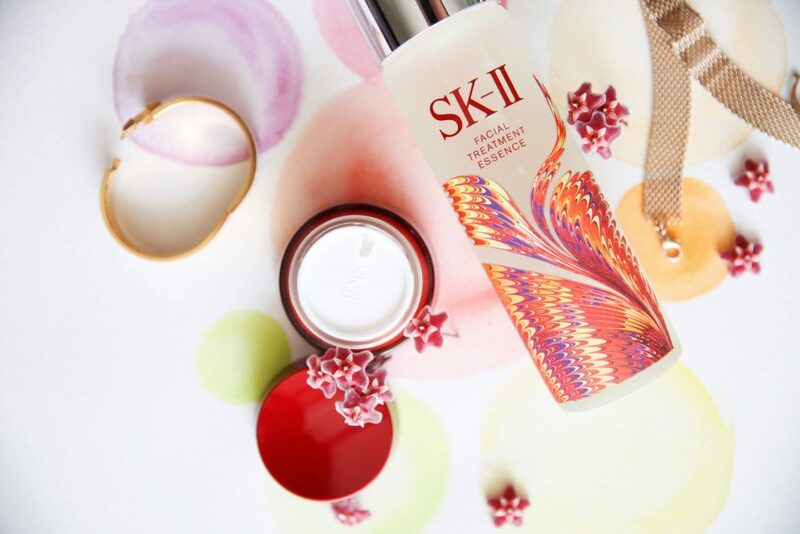 This year, I’ve got my eye on SK-II’s Festive Sets, especially the Ageless Beauty Set which includes their famed Facial Treatment Essence. I’ve used the products myself so I know that whoever finds the set under the tree on Christmas Day will be quite pleased! 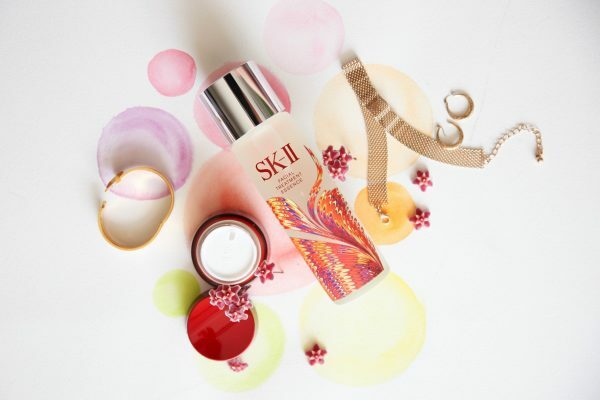 The set also comes with SK-II RNA Moisturiser, SK-II RNA Eye Cream and SK-II Skin Signature 3D Redefining Mask so it’s like an entire skincare regimen in one box. If your Christmas shopping has already got underway I’d look to the beauty counter – you’re definitely guaranteed to find something that will impress! What’s the number one make up mistake you wish women would stop making? Chocolate bar contouring. I see it all over social media and I’m not a big fan. Instead I love the look of hydrated, luminous skin. A focus on subtly highlighted skin is a much more modern way to get your skin looking flawless. For you, what are the three non-negotiables of great make up? Cleansing – It can make or break your look; priming – not to prime is a crime; and brows are back – think big, beautiful and bold! What’s the key to achieving a flawless finish with make up? To keep you skin looking and feeling its best during the cooler autumn/winter months it’s all about protection, prevention and a little pampering. To achieve a healthier complexion that is even in tone, your skin care and makeup should contain beneficial ingredients like chamomile for redness and antioxidants for anti-ageing. Primers are a non-negotiable! It acts as a bridge between your skin care and makeup. Your foundation should also contain SPF for sun protection and make your skin look smooth and hydrated. What’s your favourite product in your range? 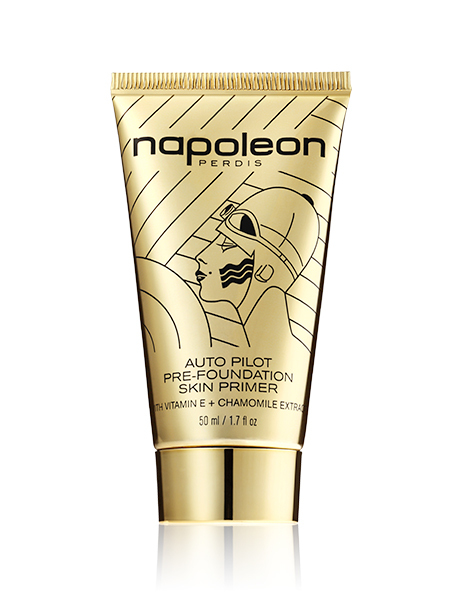 Definitely my Auto Pilot Pre-Foundation Skin Primer. Whether you are a makeup minimalist or prefer a more dramatic look, it’s important to nourish and nurture the skin with primers. 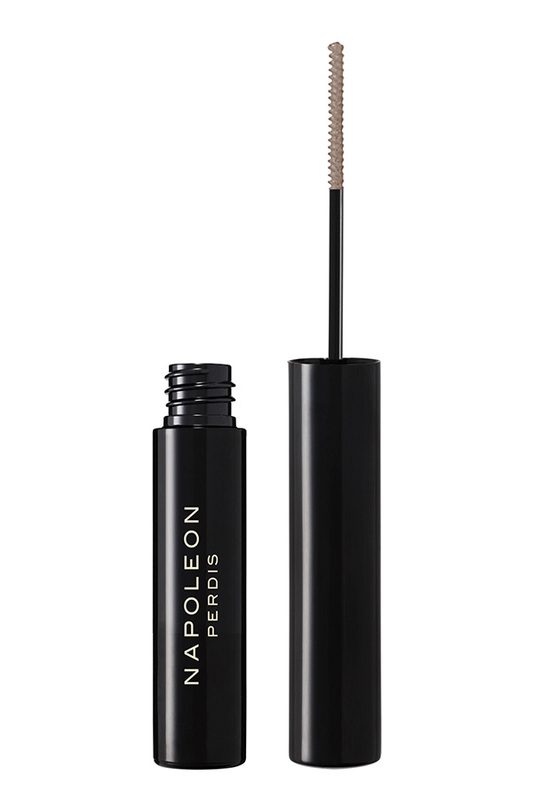 This will ensure your makeup glides on easily and looks fresh all day. Primers hydrate the skin, absorb excess oil and keep makeup on for longer and is suitable for all skin types. With calming ingredients such as chamomile, yarrow extract and vitamin E it’s a great way to keep your skin looking and feeling smooth. What’s the key to achieving a great make up look when you’re in a rush? Always start your make up look by applying mascara and brows first. Not only does it frame your eyes, but when you are pressed for time, you can ensure you have your essentials on. Add a hint of concealer around the eyes and any area of discolouration. Next swipe a creamy lipstick on the lips and cheeks. Double duty beauty! What are some of your favourite make up trends of the season? Natural is cool. Keep your base minimal not mask-like. Coloured lashes. Makeup is a form of self-expression so I love to see women have fun with their look. Blue lashes are so hot right now and really brighten up the eyes. Strobing not contouring! I not a big fan of chocolate bar contouring and prefer when the skin looks lit from within. Think golden luminosity on the top of the cheekbones and cupid’s bow. How do you think the way Australian women approach make up differs from other women around the world? In Australia there is a certain freshness I adore with the textures kept quite real and understated. I really appreciate how Australians have an understanding of what’s modern. They can have a flawless and easy going day look and switch it up for night by adding on a bright lipstick or bold lashes. What’s the key to long lasting make up? 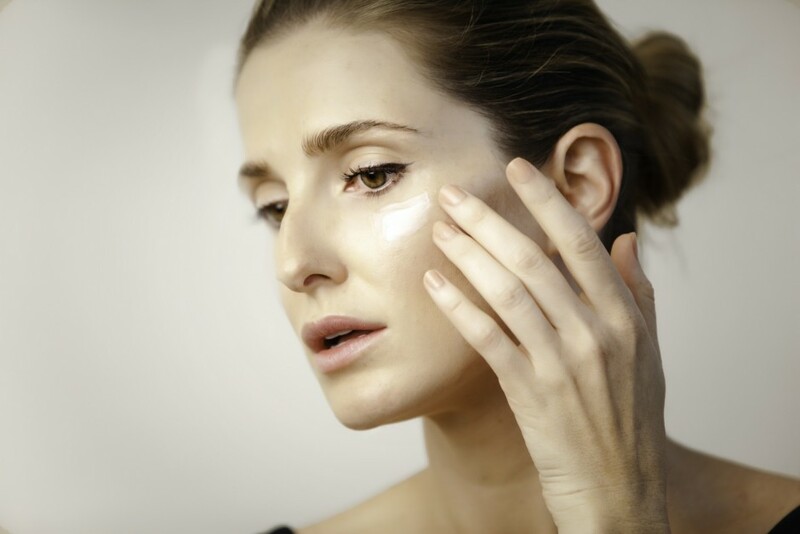 To keep your make up on for longer, its starts with correct cleansing and priming. Next choosing the correct foundation for your skin type and setting your base with a small amount of powder. To keep your lipstick looking flawless all day prep the skin with a lip balm, apply a generous coat of lipstick and line lips last. This will ensure your lip line stays crisp and helps to prevent bleeding. 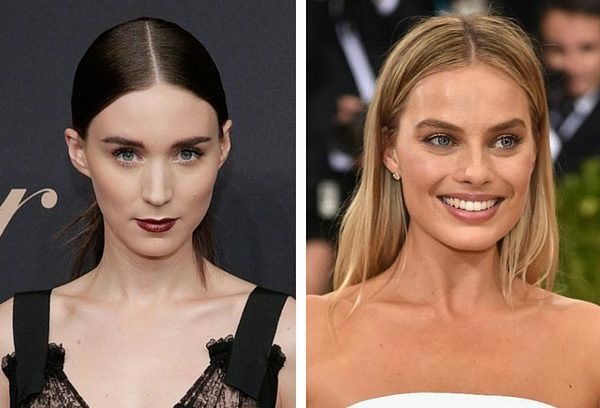 Which celebs do you think are doing really great things with their make up looks at the moment? I do love Margot Robbie’s look. She has let her beauty shine through and has let her skin do all the talking. She really nailed her make up at both the Oscars and the Met Ball. I’m a big fan of Rooney Mara also as she takes her look to the dark side with bold brows and a signature deep plum lip. What’s your philosophy when it comes to make up? Cleansing and priming your skin can help keep your look on longer, no matter your skin type. Choosing the correct primer means you can get away with wearing less make up, plus it keeps your base on for longer. There is a primer for almost every skin type from oily to dehydrated and the best part, they are undetectable. What’s one make up technique you wish women would master? I would love to see more women experiment with a bit more colour. Make up really is art and a great way to express your style and mood! A sweep of blue mascara can really brighten up the eyes. A bright pink or deep brown lipstick can add drama and interest to your look in a matter of seconds. I believe great skin really does come from the inside so I always try to eat well. Lately I’ve been incorporating a lot of fruit into my diet especially blueberries which are packed with antioxidants and really beneficial to the skin. Figs and strawberries have also been in high rotation for me and they’re both packed with essential vitamins and minerals not just for skin health but also general wellbeing. It’s an oldie but a goodie that staying hydrated is important for great skin. I make sure to drink plenty of water each day (at a minimum the recommended eight glasses of water) as it helps to flush out toxins and in turn ensure my complexion is in tip top shape. I never ever leave the house without applying sunscreen first. I always apply a layer of sunscreen on my face before I put my makeup on as I want to minimise the damage the sun can cause and most importantly protect my skin from harmful UV rays. Clogged pores can lead to skin looking dull so I always make sure I cleanse thoroughly before bed and remove my makeup religiously. Even if I’ve had a late night, I make sure to wipe off all my makeup so my skin has time to breathe and rejuvenate itself overnight. Plus it can help keep breakouts at bay. I’ve begun to incorporate anti-ageing products into my skincare routine as I’ve started to notice changes to my skin such as fine lines around my eyes. I spoke about my new skincare obsessions here and they are still very much an integral part of my daily beauty regime. I massage the L’Oréal Paris Revitalift Laser X3 serum on my face and on my neck right before I apply the moisturiser and find that it has really helped target the signs of ageing on my skin, especially the fine lines around my eyes. I think it’s always important to reassess your skincare regularly to ensure that the products you’re using are addressing the biggest concerns you may have. 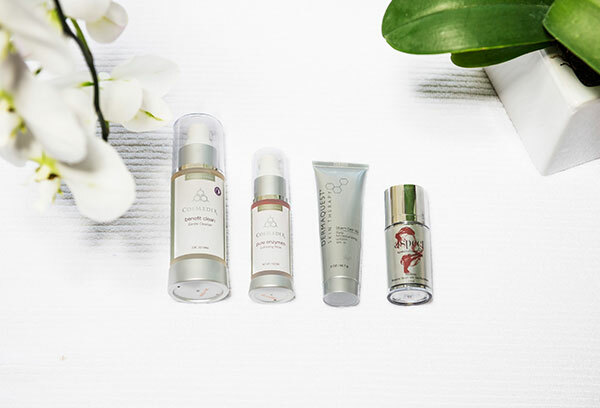 After all a great skincare routine is one of the building blocks of an amazing complexion. The health of my skin has always been a crucial focal point of my beauty routine. I’ve always firmly believed that if you start with great skin as a base that you’ll always get a great result from your makeup so its maintenance has always been important to me. I admittedly encounter new beauty products all the time and while I’ll give some a go for a day or two it takes a lot for something to make it into my regular beauty regime. 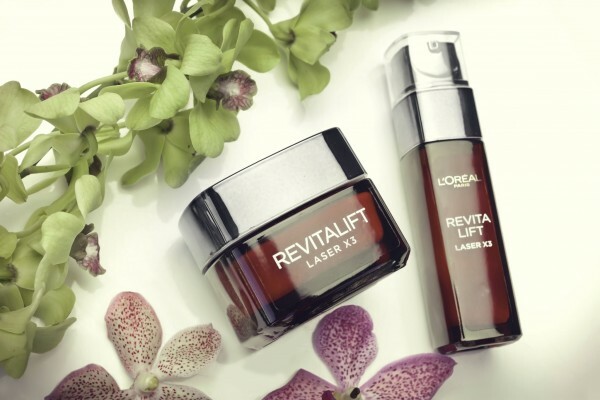 So I’d like to introduce you to my latest beauty obsession: the L’Oréal Paris Revitalift Laser x3 range. I’ve incorporated the serum and day moisturiser into my daily skincare routine for awhile now and I’m really pleased with the results I’ve been seeing. 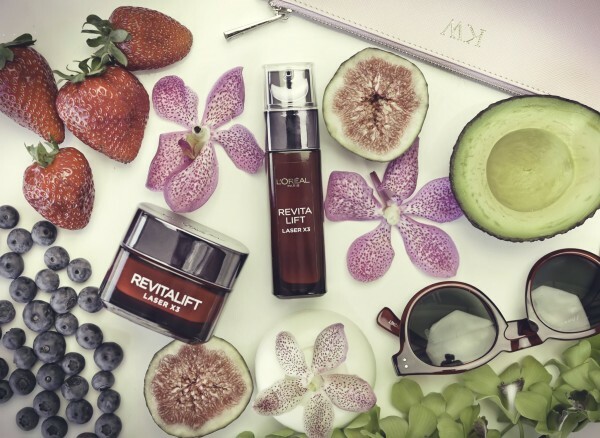 I’ve been really focussed on tweaking my skincare routine to help minimise the signs of ageing so the Revitalift range has been great because it specifically targets fine lines. It’s also been clinically proven to challenge a laser session from a professional so it’s great for helping to resurface the skin without needing to pay a visit to a dermatologist. The moisturiser and serum are lightweight so it doesn’t feel too heavy on my skin and it has a really delicious scent which is always a nice bonus. My skin has been feeling quite dehydrated of late so it really drank up the moisturiser and helped to combat the areas of dryness I had been experiencing. I usually get fine lines around my eyes so I made sure to focus on that particular area. I found the products to be really soothing and hydrating to my skin and it was really easy to incorporate it into my usual routine. I’d wash my face, apply the serum and then moisturise so it was really straightforward to use which is really important for me as I usually need to get out the door fast. My skin is looking and feeling great so it definitely ticks all the boxes for me. I’m all about healthy, glowing skin. I think that your makeup simply looks and sits better when you have a great canvas to work with from the start. I have a skincare routine that incorporates a few different elements and I’ve found the below combination works in harmony to help keep my complexion looking healthy. I’m religious about taking my makeup off. I always do a thorough cleanse at the end of each day before I go to bed mostly because I like the feeling of having clean skin when I sleep but also because sleeping with makeup on can clog pores which in turn can cause my skin to break out. I sometimes just need a more thorough skin overhaul than my usual cleansing, toning and moisturising routine can offer which is when a facial comes in. I book myself in for regular facials because it’s great for sloughing off dead skin cells which in turn can help reveal the healthier skin underneath. Healthier skin = healthy glow. As I mentioned in this post, my favourite treatment before a big event is a blueberry facial which does wonders for my skin. I have really dry skin so I love using facial oils. 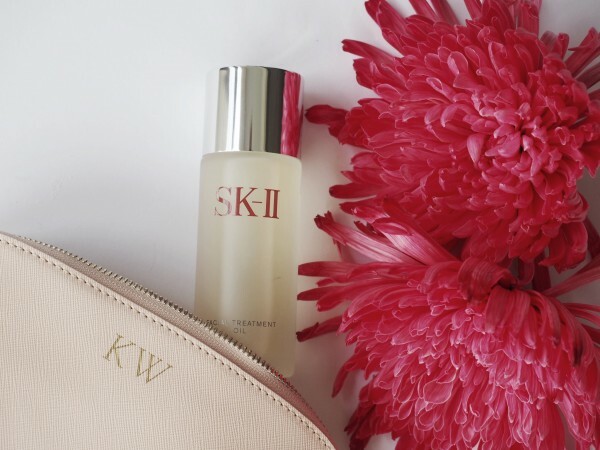 My go-to is the above SK-II Facial Treatment Oil which is so hydrating it feels like a big gulp of water for my skin. I use oils at night as I like to have really hydrated skin when I go to bed as I find I wake up the next morning with a much better complexion. However it’s also great for wearing under makeup when I want my skin to have a dewy effect. Facial oils are great for dry skin, however I recently learned that they’re also ideal for oily skin. 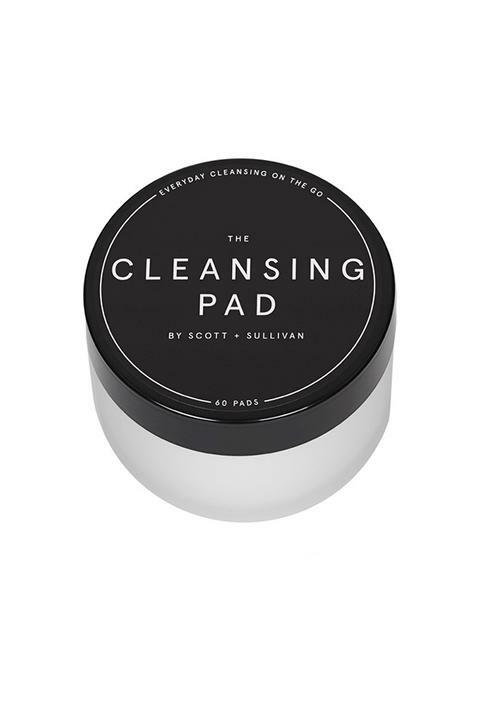 It may sound counterintuitive to use an oil but when you strip your face of its natural oils by over cleansing your body will produce more oil to compensate. So the trick is to replenish your skin’s moisture with a facial oil as it locks it in much more effectively than a regular moisturiser. This will in turn help to balance your skin and avoid the over production of oil. It’s a given that drinking plenty of water is essential for healthy, glowing skin. It flushes out nasty toxins which in turn helps to improve your complexion. If there’s one thing that will stand in the way of you and a healthy glow it’s sun damaged skin. This is why it’s important to make sunscreen a part of your daily skincare routine. I make sure I always apply sunscreen before I leave the house everyday. I apply it under my makeup and ensure I stick to this routine religiously.